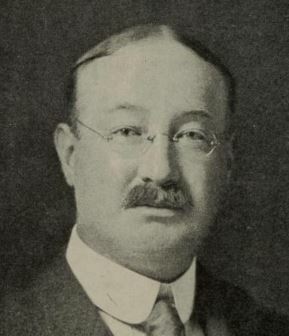 William E. Gilmore was the éminence grise behind Thomas Edison and the Edison Manufacturing Company, a tough and frequently bullish character who had as great an influence as any on the nascent American film industry. Gilmore was appointed vice president and general manager of the Edison Manufacturing Company on 1 April 1894, taking over from Alfred O. Tate. For his very first act, Terry Ramsaye surmises, Gilmore 'brought down a hard fist on a surprised desk and demanded action'. It became Gilmore's task to oversee the increasingly complex exploitation of Edison's business interests, which meant much else besides film, and indeed Gilmore had been employed in the first instance to tackle the problem of the financially unstable North American Phonograph Company, licensees for the Edison Phonograph. It was replaced by the National Phonograph Company, with Gilmore as its president. On the film side Gilmore soon became suspicious of W.K-L. Dickson, who while still in Edison's employ was working in secret for the Lathams, and engineered the latter's departure from the company in April 1895. By this act Gilmore did much to give birth to the many different cinematographic machines and subsequent patent litigation that was to keep himself and Edison fully occupied for years. 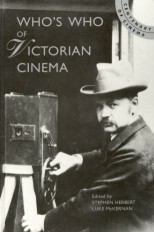 Gilmore's attempts to stifle competition only encouraged the stubborn; it was his refusal to supply Robert Paul with films that led the rogue British Kinetoscope manufacturer to go into production with the first British films. Gilmore next became the key figure in the negotiations with Thomas Armat and Raff & Gammon that led to the acquisition of what became the Edison Vitascope and the start of projected Edison film in April 1896. It was Gilmore who caught Albert Smith and J. Stuart Blackton red-handed duping exclusive Spanish-American war films, and who then brought American Vitagraph, and many others, in as Edison licensees. But it was also Gilmore who detected the change as the film business began to establish roots, and who moved Edison away from the licensing system to its own increased production schedule in 1900, meaning a new studio and increased staff, most notably Edwin S. Porter. Much of Gilmore's belligerence stemmed from the considerable battles he faced over the chaotic Phonograph business; with the film side it was just a question of cracking the whip. Of film production itself he knew little and cared little, That he had a softer side is perhaps shown by his predilection for nepotism - two brothers-in-law of his were awarded key managerial positions in the Edison organisation. In June 1908 he left Edison to manage the Essex Press, a printing business, and was replaced by Frank Dyer, Thomas Edison's lawyer and biographer.